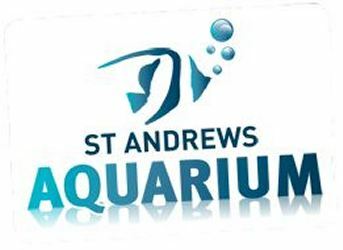 While you certainly won’t run into Jaws when you’re paddling at the East Sands beach, St Andrews Aquarium does have its very own shark-in-residence. Our black-tip reef shark is still a baby, and rather small, but in the wild, these toothy Carcharhinidae can grow up to 1.6 metres in length. 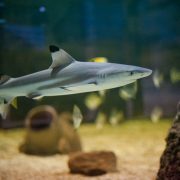 Bluish-grey in colour, black-tip sharks are easily spotted for their dorsal fins, which look a little like they’ve been dipped in ink and the white stripe which sears down their flanks. These apex predators hail from the cosy coral reefs of the Indian and Pacific Oceans, but in recent years they have also populated the eastern Mediterranean Sea by way of the man-made Suez Canal. They like to hang out in the shallow waters of bays, estuaries and river mouths. Sadly, this has made them vulnerable to human development, and in some countries, they are captured and made into shark fin soup. Speaking of food, reef sharks aren’t fussy eaters. They are happy devour a wide range of menu offerings, from the colourful, crunchy mantis shrimp to squelchy octopus and squid. They’re also great team players, working together to drive prey like mullet, wrasse and grouper towards the shoreline for an all-you-can-eat fish buffet. During a feeding frenzy, they show little regard for etiquette, and can even breach the surface of the water as they enthusiastically thrash and chomp their prey. Although the reef shark has quite limited vision, it has other means of sensing its prey. Sharks are the most electrically sensitive of all animals, with electroreceptor cells on their snouts which help with communication, navigation, and feeding. As if this wasn’t enough of a talent, in very rare cases, female reef sharks have been discovered to fertilise their own eggs, suggesting they might be able to reproduce without the presence of males! 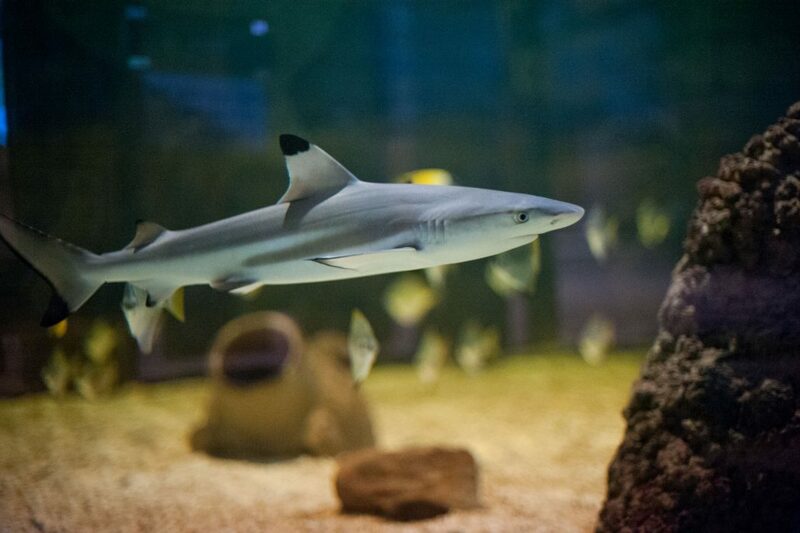 Black tip reef sharks are viviparous, meaning they give birth to live young rather than eggs. It can take up to 11 months of gestation before baby reef sharks are ready to be born: that’s two months longer than humans!